Die hard Batman fans will love this game, based on the latest episode of the epic Batman story. Gameloft seems to have picked a winner with this one. It’s available in the App Store and you can download onto your iPad. It’s packed with stealthy missions and events like chilling hostage situations and daring jailbreaks. 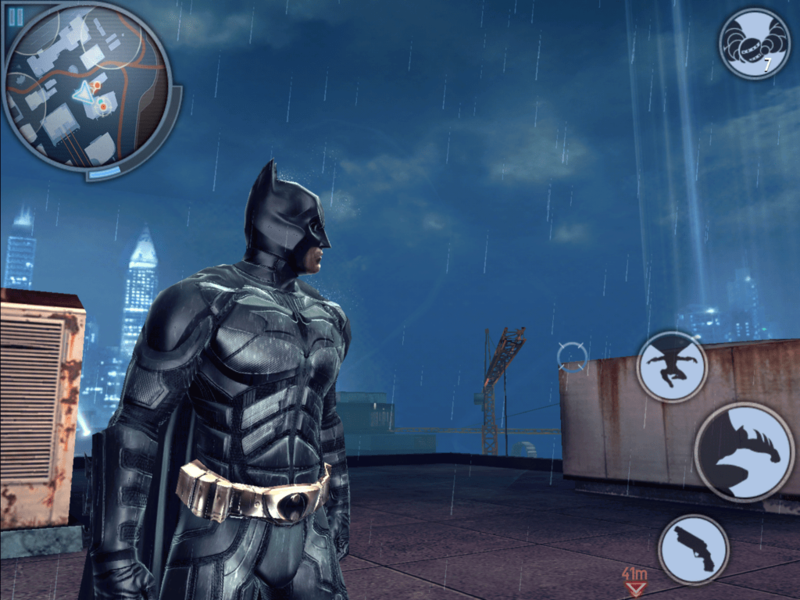 Defuse bombs, chase down the bad guys in your car and protect Gotham city. The cinematic effects and stunning moves make this game almost as exciting as the movie. To get upgrades (which are extensive) and learn new fighting skills, you have to collect items cleverly hidden throughout the city, or use your experience points. As Batman, you get the whole cache of weapons and gadgets, and a crash course in handling them. The fighting system is pretty complex .The Grapnel will help you cross the city and beat enemies, and the Batarang will knock your enemies out; you can also use it to hit a button far away. When you can’t use your gadgets and kicks anymore, you can bring on the Batmobile and other vehicles. All the levels in the game are autonomous sections that are based on the movie. You can experience Gotham city like never before, with stunning graphics and a huge map for easy navigation. The characters of Selina and Alfred Kyle are quite a lot like the actors who played the film – Anne Hathaway and Michael Caine. 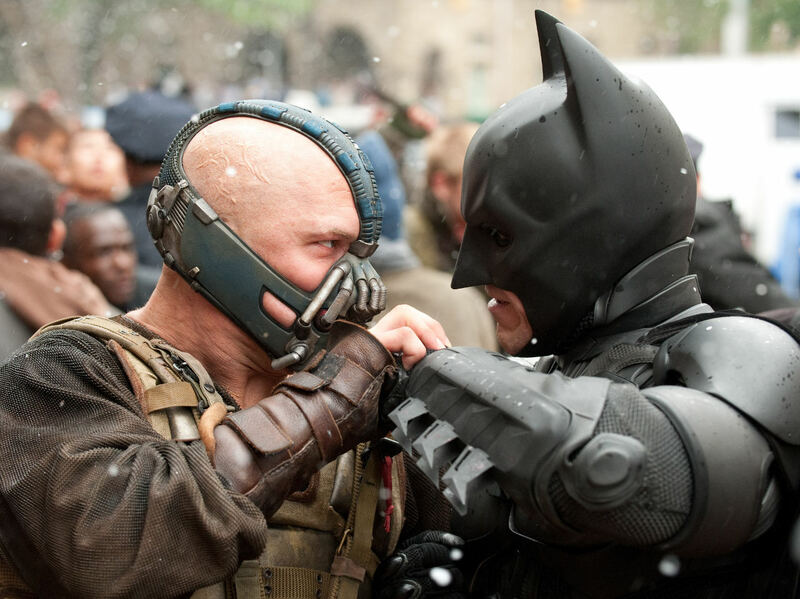 The dialogues are simply awesome, especially those from the Dark Knight in his deep intimidating voice. Basically you will move with the help of a virtual thumb stick, and when you need to carry out commands, use the action buttons that appear at the time. This way, your screen is not cluttered with a whole lot of buttons. In a combat situation for example, the strike or block command will be displayed, and to enable these actions, the Batarang or Grappler icons will pop up. The jump button is a permanent feature. You can glide once you’re in the air. Some sophistication has been sacrificed due to the required downscaling for the mobile platform. You can indulge in street type fighting by continuously pressing the Attack button. You can strategize, and save your fists for the very serious or ugly stuff. Some of the puzzles seem to have been transported directly from Gameloft’s NOVA; seems they haven’t bothered to create new ones. It runs pretty smoothly on the iPad though the graphics tend to be slightly hazy around the edges. All in all, it’s an enjoyable game that has captured the essence of the movie, but not a highly challenging game. This is a guest post by Mark Bennett of Workwelltogether.com, a site that offers savings and current information on cable and internet deals. Click here to visit us, as well as Comcast.com services.